2019 Volkswagen Jetta 1.4T S, STK# 38635, VIN: 3VWC57BU1KM053648. Payments based off MSRP of $20,560. 10,000 miles per year for 36 months with $2,999 due at signing. Amount due at signing includes first month’s payment, capitalized cost reduction and acquisition charge of $675. Excludes tax, tag, registration charges and $300 dealer processing charge (not required by law). For highly qualified customers through Volkswagen credit. At lease end, lessee responsible for disposition charge of $395, $0.20/mile over 30,000 miles and excessive wear and use. With approved credit. Valid only at Ourisman Volkswagen of Bethesda. Offer expires 02/28/19. Redesigned with purpose, the 2019 Volkswagen Jetta offers more interior space in a longer, wider and taller redesign. With a driver-focused interior, the cabin is equipped with more technology, more driver safety assistance and features a high torque turbo engine that surpasses the rest. Less expensive than its predecessor, the 2019 Jetta undercuts its major competitors' pricing and enhances your driving experience. 2019 Volkswagen Tiguan 2.0 S, STK# 39625, VIN: 3VV0B7AX6KM035089. Payments based off MSRP of $26,675. 10,000 miles per year for 36 months with $2,999 due at signing. Amount due at signing includes first month’s payment, capitalized cost reduction and acquisition charge of $675. Excludes tax, tag, registration charges and $300 dealer processing charge (not required by law). For highly qualified customers through Volkswagen credit. At lease end, lessee responsible for disposition charge of $395, $0.20/mile over 30,000 miles and excessive wear and use. With approved credit. Valid only at Ourisman Volkswagen of Bethesda. Offer expires 02/28/19. 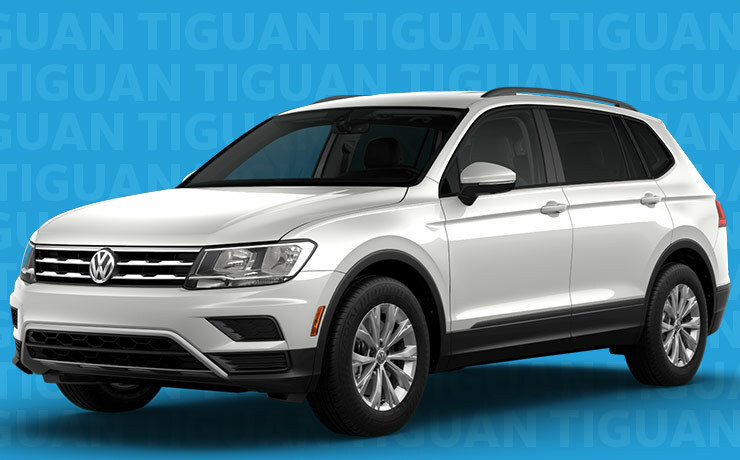 With so much design packed into one space, there's no wonder why people want to ride in the 2019 Tiguan. The not-so-compact compact SUV is fun to drive, easy to maneuver and designed to catch everyone's eye. With features like Fender® Premium Audio System, panoramic sunroof, driver assist safety features and a hands-free power liftgate, this sophisticated SUV is full of driver and passenger-friendly surprises. 2019 Volkswagen Passat 2.0T Wolfsburg, STK# 39534, VIN: 1VWLA7A37KC004010. Payments based off MSRP of $27,425. 10,000 miles per year for 36 months with $2,999 due at signing. Amount due at signing includes first month’s payment, capitalized cost reduction and acquisition charge of $675. Excludes tax, tag, registration charges and $300 dealer processing charge (not required by law). For highly qualified customers through Volkswagen credit. At lease end, lessee responsible for disposition charge of $395, $0.20/mile over 30,000 miles and excessive wear and use. With approved credit. Valid only at Ourisman Volkswagen of Bethesda. Offer expires 02/28/19. Maryland and Virginia drivers looking for a comfortable, affordable, reliable and sleek-looking family sedan should look no further than the 2019 Volkswagen Passat. 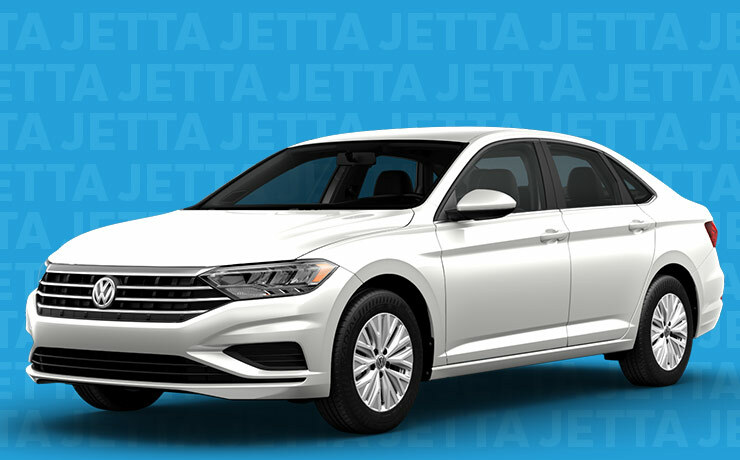 With a voluminous interior, crisp infotainment screens, advanced safety technology and a 2.0L turbocharged I-4 engine (175 HP), the Passat is perfect for the streets of Maryland and Virginia. One factor Passat drivers will appreciate is its improved outward vision. By lowering the dash, the driver’s sight line has increased. Long-legged friends and family members will also appreciate the spacious interior. And the kids will like the 2019 Passat’s infotainment compatibility. 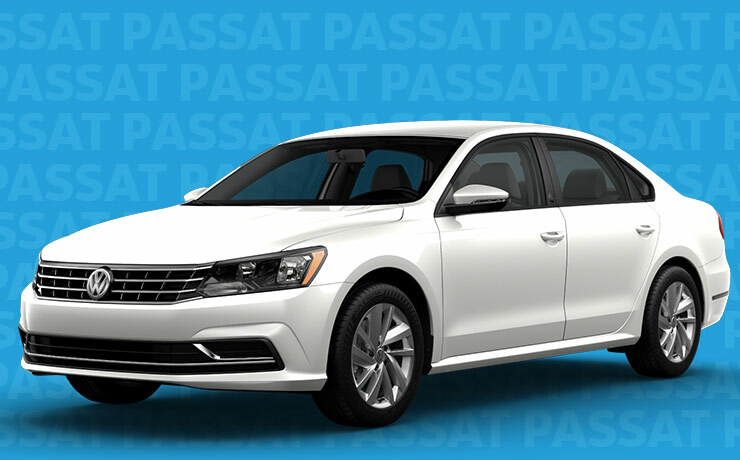 The exciting 2019 Volkswagen Passat is available for purchase or lease at Ourisman Volkswagen of Bethesda.